Hola readers. I have a confession. 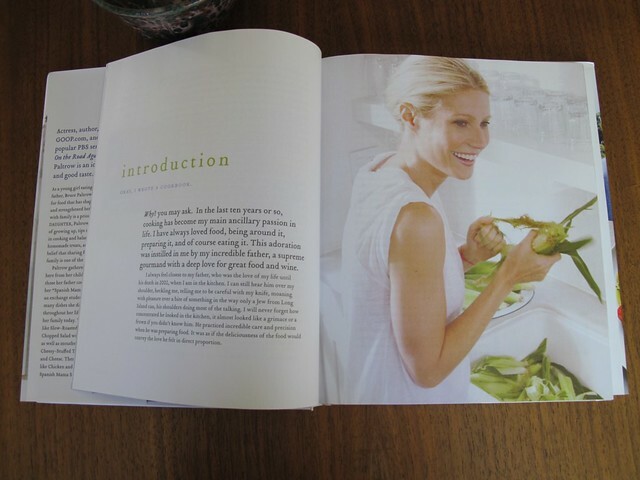 I bought Gwyneth Paltrow’s just released cookbook this past weekend. While shopping for a friend’s birthday gift, I stumbled upon it and it was as if my fingers were magnetically drawn to the cover. 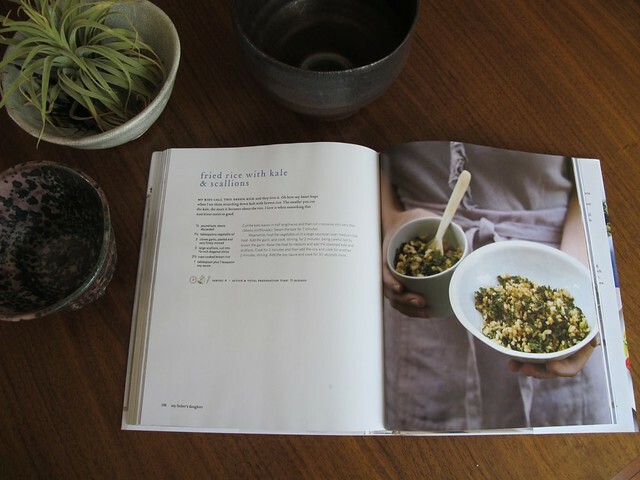 This cookbook has received mixed reviews. Many people seem to intensely dislike it. But guess what, guys? I love it. And here’s why (hint: it’s all about the cozy factor). 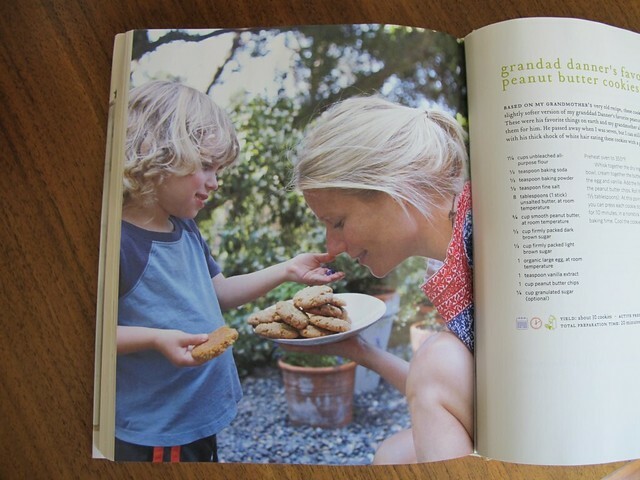 Allow me take you on a tour of my new favorite cookbook, My Father’s Daughter: Delicious, Easy Recipes Celebrating Family & Togetherness. 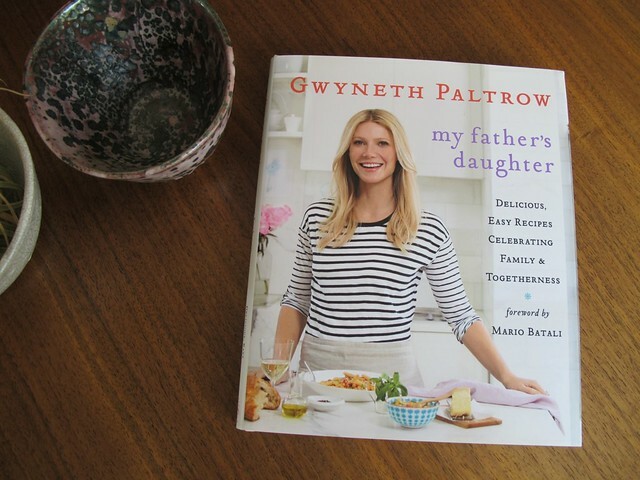 In the introduction, Gwyneth writes that she developed her passion for cooking from her father. 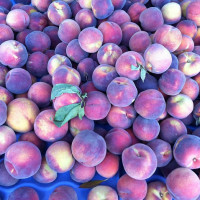 She says, of her love of food, “This adoration was instilled in me by my incredible father, a supreme gourmand with a deep love for great food and wine. 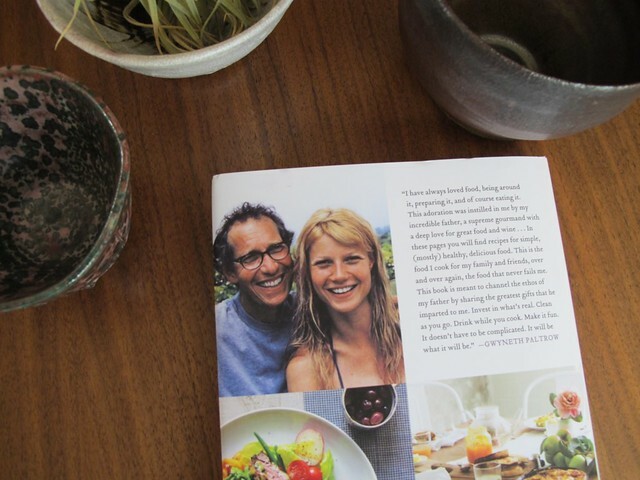 I always feel closest to my father, who was the love of my life until his death in 2002, when I am in the kitchen.” And the book is peppered with candid snapshots of Gwyneth and her dad. This sets the stage for a book that is truly filled with love. I love love. 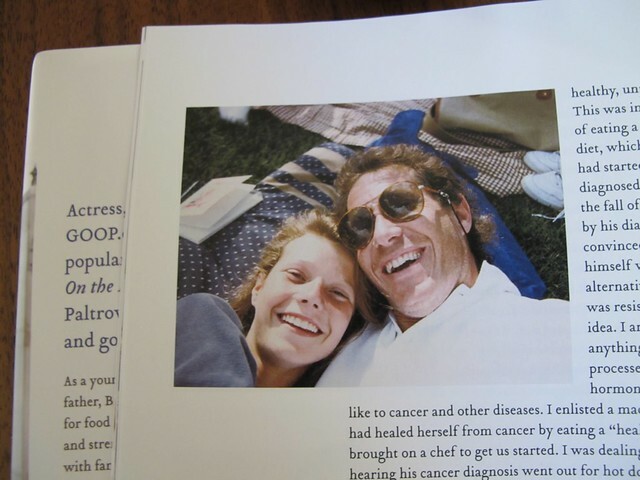 This page of GP & Blythe pics is right out of LA in the 70s. Again, natural and cozy and without any pretense. 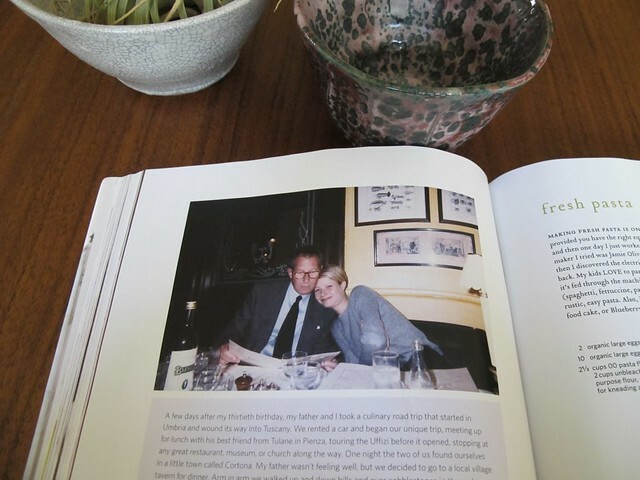 The book takes a serious turn here, as GP describes the last one-on-one meal with her father. They ate duck ragu (the below pic was snapped that night), talked about life and love and she had no idea that he would die three days later. 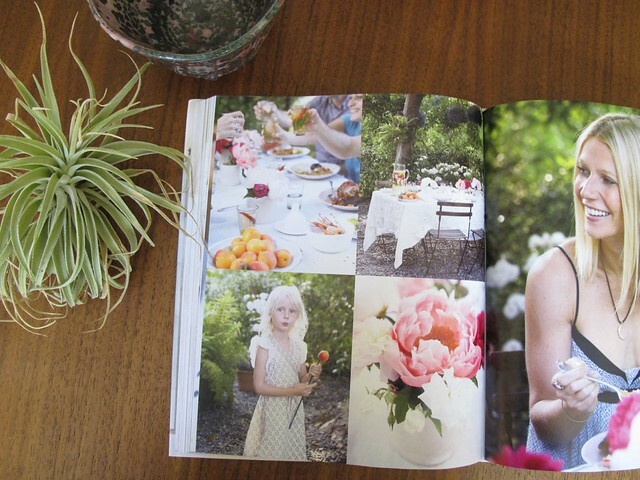 In essence, this book is a love letter to her family. Which fills me with feelings of warmth. 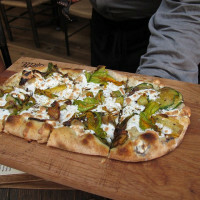 Let’s talk about the food for a moment. 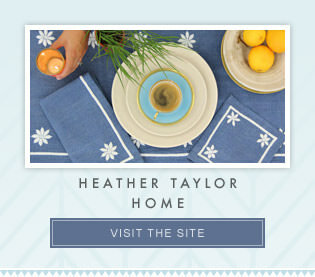 Gwyneth is certainly not attempting to reinvent the wheel. 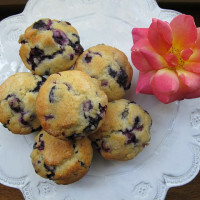 The recipes are homey, simple, healthy and approachable. 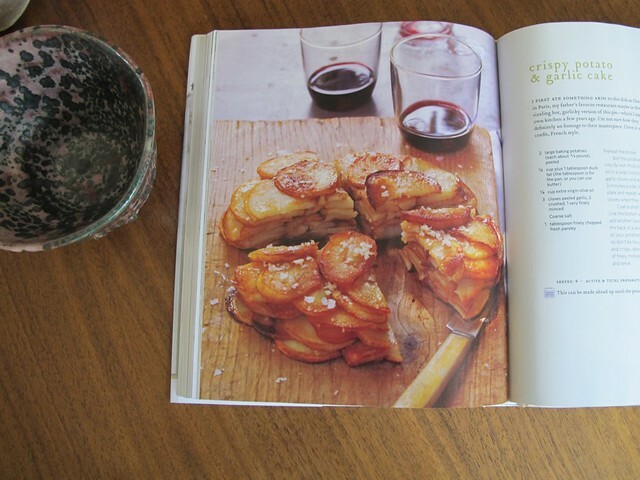 For example, I want to make this Crispy Garlic and Potato Cake like, immediately. 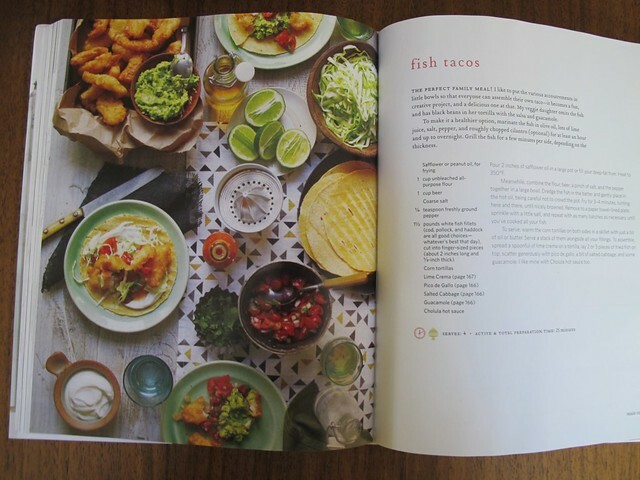 After my sister made the fish tacos from GOOP, they have become one of my favorite quick weeknight dinners. Excited to try this version. I make a lot of fried rice (inspired by my friend Jeana Sohn) but GP’s version introduces kale and brown rice, instead of my usual white. I made this earlier in the week, topped it with a fried egg and was in dinner heaven. As this is a book about family, there are several pictures of her children Apple and Moses scattered throughout And guess what? They’re cute (I have since learned that these are not actually her kids but it’s still a cozy pic). Simple pink peonies pretty gorgeous too. 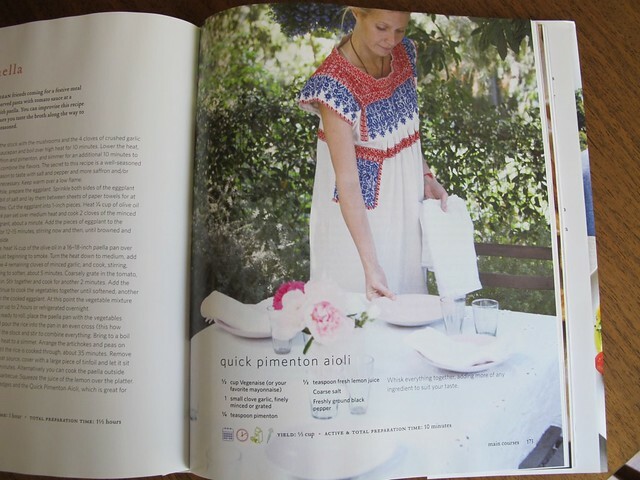 How about this dress? Can I have it? Bra straps showing? No make-up? GP is best at her most natural. In closing, Gywneth didn’t have to write this book. She’s clearly not motivated by money (fragrance is better for that) or by fame (she maxed out on fame a long time ago). But in her quest to be cozy and find comfort and share a little bit, she did. And I really can’t hate that.